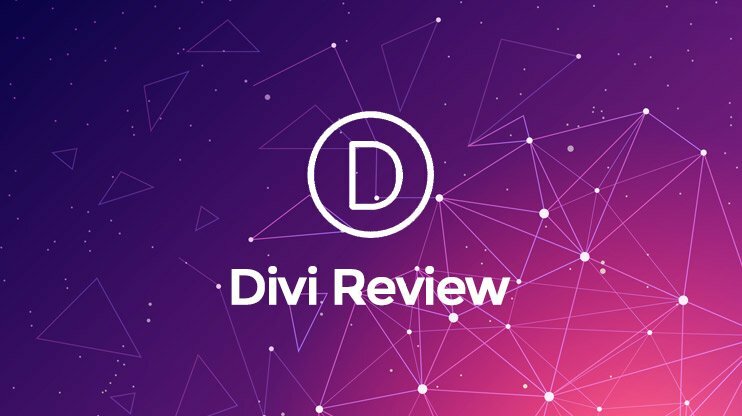 Here is an honest Divi review, where we will discuss both, the Divi WordPress Theme and the Divi builder by Elegant themes that makes it one of the best WordPress themes ever. This is the time when you can create elegant WordPress websites in no time with the WordPress page builders with the drag and drop options. Here, we’ll talk about the Divi theme powered by the Divi Page builder Elegant themes. The Divi theme is popular, not just for its elegant design and features, but more for its flexible page builder called the Divi builder. The Divi WordPress theme is known for its flexibility and versatility. It is a multipurpose WordPress theme powered by the powerful Divi builder that makes website building a breeze for the website builders. No Divi coupon required. Simply click the following link and you will get 20% discount Click here to get Divi discount and save money. The features and options of the Elegant themes Divi builder make creating websites all those options and the power of the drag and drop editor are now available as the Divi builder plugin so that you can use it with any theme of your choice. Who should use the Divi Theme? Divi pricing: How much do you pay for the brilliant Divi theme and the Divi builder? The Divi WordPress theme can be used for any purpose. It is a multi-concept theme, that you can use to create a business website, a blog, an online portfolio site, a website for your hotel or educational institute, etc. The theme supports WooCommerce and therefore, you can even create beautiful eCommerce stores with it. Again, with the Divi builder, you can design or redesign your own pages using the drag and drop page options. …without touching a line of code! Divi builder makes customizing the Divi theme so easy. All you need to do is to pick one from the pre-built modules, place it in the page wherever you want, through the drag and drop options. You don’t have to be technically skilled to use the Divi theme or to understand how the Divi builder works. Anyone with little to no technical know-how can use the Divi theme to create their WordPress website, design their own pages and convert their imagination into a real website. With the Divi theme, you can totally control the design and content arrangement of your web pages with an intuitive frontend editing interface. Even for those who’ve never tried their hand on website making, the Divi builder works magic. No need to struggle with dashboard options when using the Divi WordPress theme. Add the modules, copy/paste them, edit them, all on the front end. So, what you see is what you get! There are enough customization options available with the Divi builder plugin to let you customize each and every element on the screen. This gives you the freedom to either completely redesign the page, or create a new one. 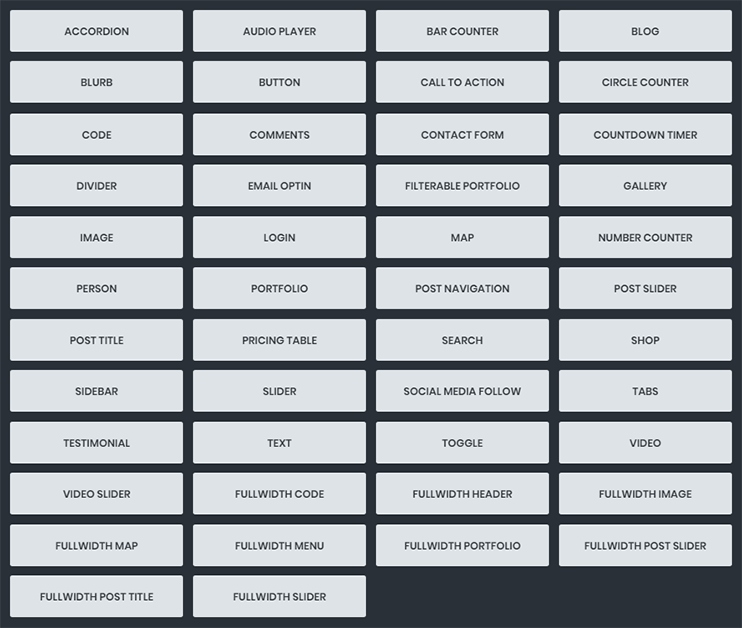 The settings section comes with options to manage almost everything within your site. Additionally, the Divi builder features will come to your aid, if you know how to play with the CSS codes, you can redesign your modules with custom CSS. Just write in your CSS code and it will override the actual CSS code. 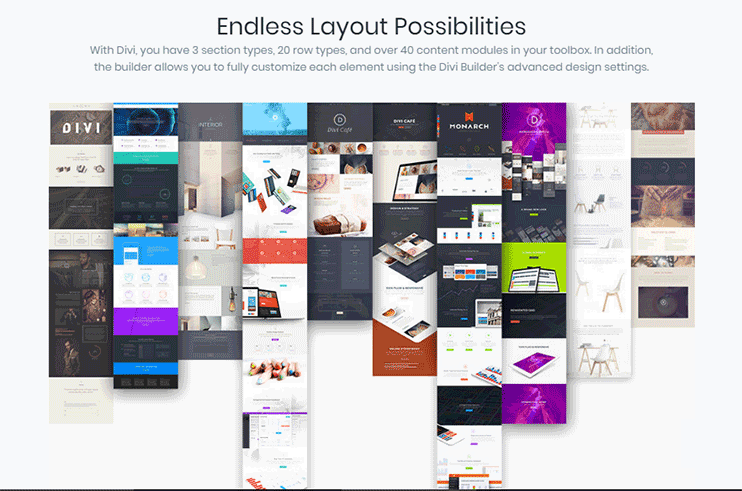 With all the Divi builder modules being customizable, there are endless possibilities of the designs you can create. Try different setting and combination of the modules, and create any page you want. If you are confused on choosing from among two different variations of a module, The Divi builder gives you the chance to compare them. This makes it easy for you to select the better option. To get you started quick and easy, the Divi theme comes with 6 elegant theme demos to choose from. You can install the demo data and have a professionally designed WordPress website in minutes. Also, with the included Divi visual builder, you have the pre-designed and fully functional landing page layouts to choose from. This is one of the features that are available with mostly all the premium page builder plugins. The premade layouts are niche specific but they can be used for any purpose of your choice. They are basically landing page designs where each and every element is customizable. So you can edit it and make it work as per your needs. This too, helps you accelerate your website building process. To help you create pages with drag and drop options, without writing a line of code, the Divi theme comes with special content modules to create pages of your choice. These modules are in fact, a vital part of the Divi builder. There are separate modules for different page elements. So you can just drag and drop them to the content space where you want it. Moreover, each of these modules is thoroughly customizable. It comes with all the option you need to make it look and work the way you want. Possibilities are endless when you are using the Divi theme powered by the Divi builder. You can use these content modules, with different configurations to present different content on your website. These 46 content modules, includes all the most used elements of a website like buttons, slider, images/videos, text, call to actions, etc. Along with flexibility, the Divi theme allows you portability and reusability. Reusability through the library feature of the Divi Builder Portability through the import-export feature. With these features of the Divi theme, you can edit the modules, save them at the Divi library, and reuse them as and when required. Moreover, you can even export and later import the modules from the library. And as the Divi builder can be used on any number of site, you can take the saved module from one site and upload it to another. So if you are remodeling your Divi theme, and design a section that you want to reuse on some other page, you can easily do so through the Divi library feature. Here, all you need to do is to choose a module, customize it as per your requirements, and save it. And then you can use this saved module wherever and as many times as you need it. As promised, the Divi visual builder does allow you to take the total control over how your website looks. And one thing that I like about elegant themes Divi builder is how it lets you manage the minor details about each of your page element. You can add any element by just clicking the little plus sign. You can add a new row, choose the layout of it and then insert the required content modules to it. The best thing about such editors from Elegant themes is that you can work right on the front end. No need to navigate back and forth from your dashboard to the frontend and vice versa. So, you can directly click on the part of the website you want to change, and start changing it. If you are using some pre-built module like a text box, or an image uploader, there are options for them too. There are options to manage fonts too. If you are writing a text paragraph, then you have all the options to format the text, right at the front end. Also, If you insert an image, you can upload it instantly using the options, also resize and format it at the same time. So, the Divi builder, lets you control every small and big detail of your page, starting from the spacing and padding management, to the text and image upload, using easy intuitive option at the front end. The Divi theme is known for its flexibility, thanks to the Divi Page builder. The functionality of the Divi builder plugin was already existent with the Divi WordPress theme, but now you can use it with other themes too. With the Divi builder plugin, they extended these features usability to other themes too. How to install Divi builder? It can be integrated as a plugin, just like you install & use any other WordPress plugin. The Divi Visual builder is lightweight & like any other page builder, is designed to let you create professional web designs with drag and drop options, and it works with any theme of your choice. Also, the Divi builder modules are flexible. So, with the available customization options, you can make these modules fit your theme design use them anywhere on the page. Arrange these content modules as per your requirements and create all the pages that you want. Who should use the Divi theme with the Divi builder? Divi is best for the website builders and web design agencies or freelancers who are short of time. This theme with the Divi builder enables you to create website faster, with minimal efforts. It can prove to be very helpful for the freelancer or web designers looking to accelerate their website building process. Especially when there are loads of projects to be completed within the time constraint, the reusability and portability of Divi modules can be really useful. Divi is a multipurpose WordPress theme with endless possibilities. You can use the customization options and change it into the type of website you want. Along with the portable Divi builder, the Divi theme is good for the beginners to get started. The Divi the and the Divi page builder can also be a great help for the DIY website makers, who want to create their website on their own. No need to hire programmers and web designers to get their website created. Because sometimes it is difficult to explain your needs to the professionals or to find professionals who would create a website for you as per your requirements. With the Divi WordPress Theme, you get access to the Elegant themes Divi theme documentation, that guides you while you create your site. Also, you can contact the Elegant themes support for further assistance. And therefore, using WordPress with the Divi theme, powered by the Divi builder enables anyone to create their own website. Most of the WordPress themes and page builders come as a free trial version (with limited basic features) and a paid pro version (with advanced features) model. However, that is not the case with the Divi theme and Page Builder. You need to join the theme club at a very nominal price to access both the Divi Theme and the Divi Builder. So at the single price, you get the access to all the beautiful themes from Elegant Themes including the SEO friendly Divi theme, and all their plugins including the Divi builder. Which indeed is a very good deal. 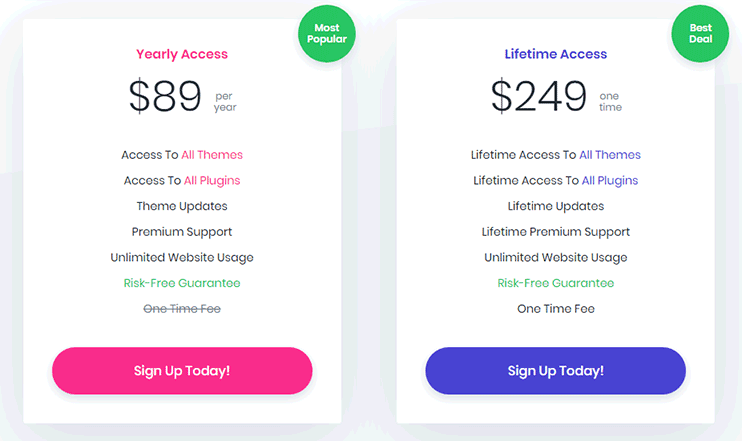 Especially if you compare this price to the pricing of other premium themes and page builders like the Beaver builder or Visual composer, the pricing for Divi and Divi builder is a better deal. Divi is obviously one of the best drag and drop page building tools you can use with WordPress. At an affordable price, the Divi Theme and the Divi builder has all the features and functionalities that can help you to create amazing websites in no time. If you are trying to create your own website on your own for a while, you should try Divi. You can have a look at the Divi theme examples to find inspiration. These are beautiful websites created by Divi theme users to take their business to the next level. It is easy to use and comes with all the intuitive options to create your website without writing a line of code. I just love DIVI theme as a newbie in web designing it made my life really easy and yeah there are some problems with DIVI like sometimes it acts kind of strange but overall i think it is awesome there are different modules for different things like contact form module and so on and plus i don’t have to do coding. I’ve been using DIVI theme for 3-4 months and in these months i’ve made a like 3-4 websites which are all doing quite fine. So a big thanks To DIVI. Thanks for sharing your experience Azhar. I would like to personally thank you for your outstanding theme. i recommend divi!.